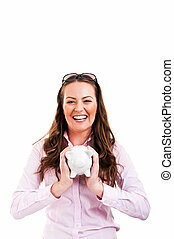 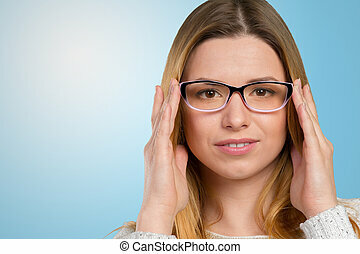 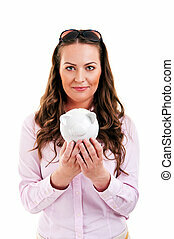 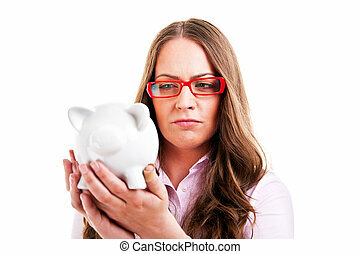 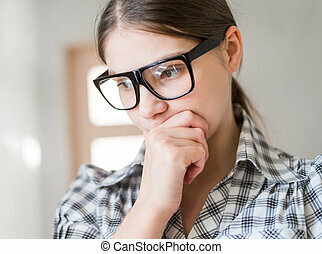 Upset woman wearing glasses holding piggy bank. 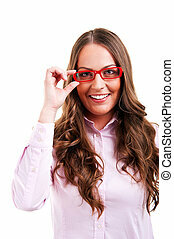 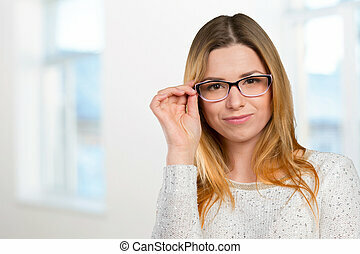 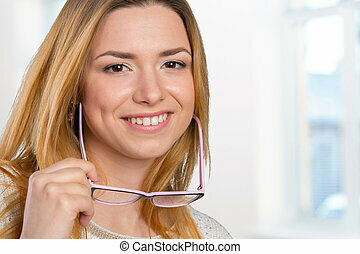 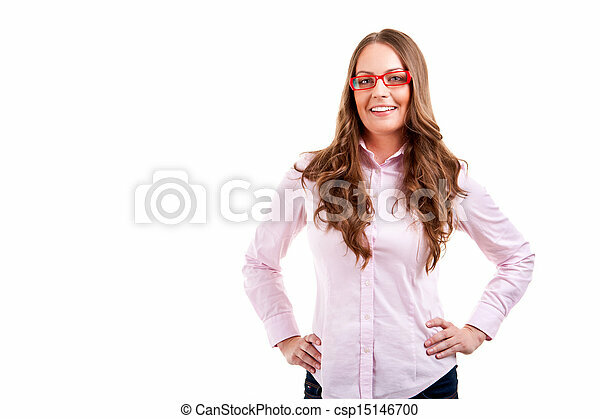 Expensive eyewear glasses concept. 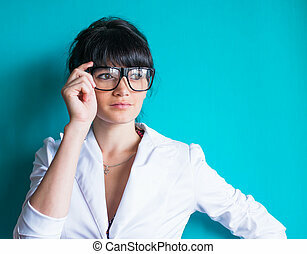 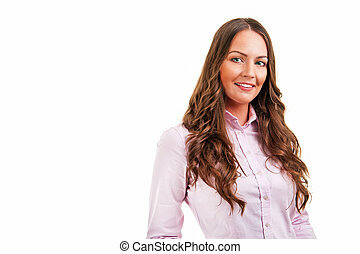 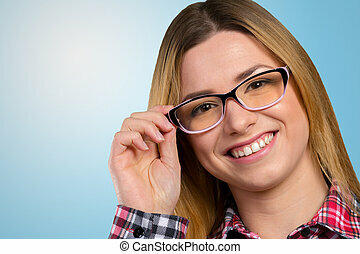 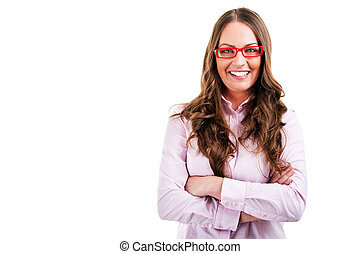 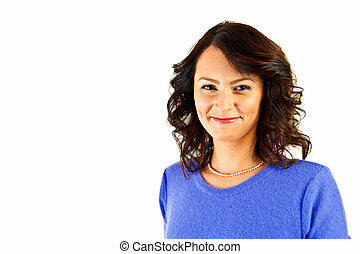 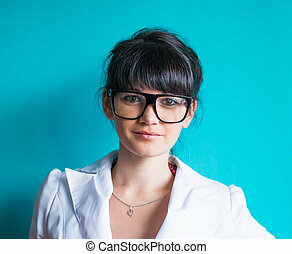 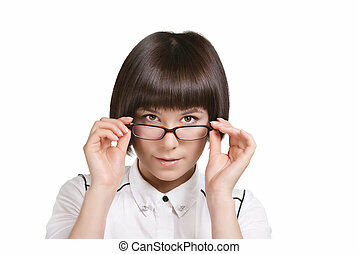 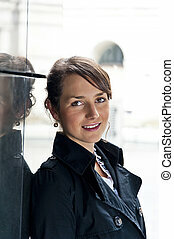 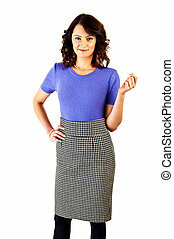 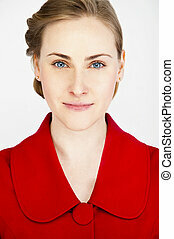 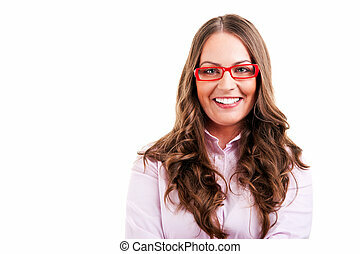 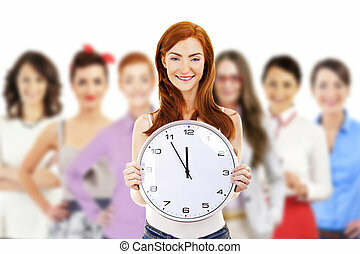 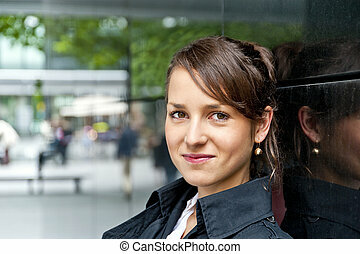 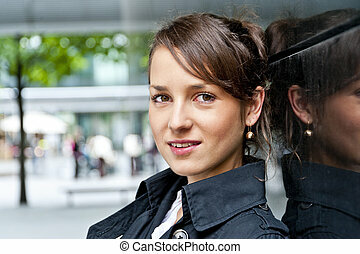 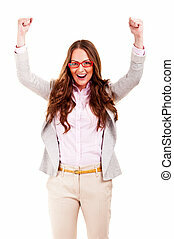 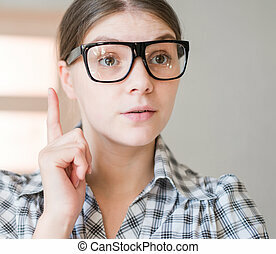 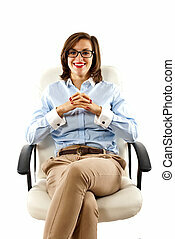 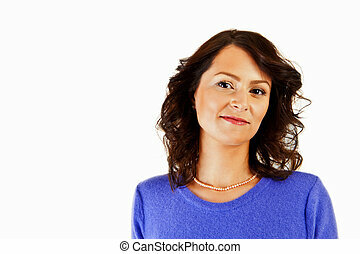 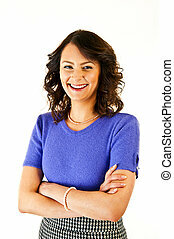 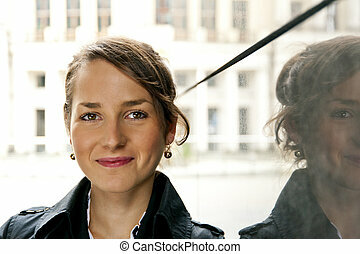 Young female business woman isolated on white background.